December 25: 5 POWER Lessons From 5 Leaders Who Made History On This DAY! Each of us are born with huge potentials, which is always unleashed only after continuous effort, hard work, lot of patience, determination, dedication, continuous learning and so on ï¿½ is a sentence that we have heard a million times and still unable to able cope up with the hustle and bustle of life. We are sure that these lessons from the journeys of some of our great leaders will help you push yourself through every obstacle from now! 1. The hardest walk you can make is the walk you make alone. But that is the walk that makes you the strongest. You might have likely been to, or heard of the Hilton Hotels Empire, one of the largest private companies today, consisting of over 3600 hotels worldwide. You must know that it was Conrad Nicholson Hilton, who single-handedly established the hotel chain, the first of its kind in post-World War I era. Born towards the end of nineteenth century to a hard working father, who owned a general store and a devout mother, he learned the value of both work and worship early in his life. Since childhood Conrad Hilton wanted to become a bank manager. When he was 31, his first bank went bankrupt, which lasted less than a year. The young man had his last 5000 dollars at the time and a head filled with dreams of banking. But Hilton was not destined to run a banking business. He became an hotelier when he watched stream of visitors at the hotel, which he had visited. Subsequently, he bought the hotel and within a year recouped his investment not only by optimizing the use of space, but also by providing additional benefits to the guests. Hilton’s family was very surprised of his success, who had already considered him a loser after all his failures in the banking business. However, a year later after the purchase of Mobley Hotel, Conrad purchased his second hotel in Fort North and then some more. Thereafter, he went on to acquire seven more hotels until the Great Depression almost reduced him to bankruptcy. However, he did not lose focus and once the depression was over, he began to add more hotels to his chain. 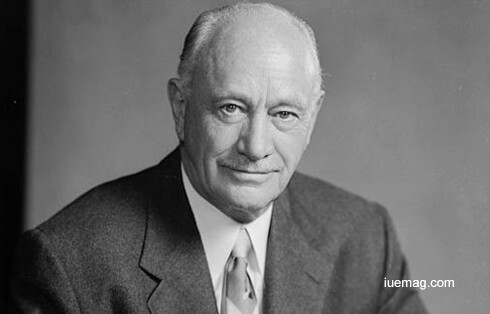 In 1954, Conrad Hilton shocked the financial world, having made the largest deal in the history of America. He purchased Statler Hotels Company for $ 111,000,000. By the time he retired, the chain owned 188 hotels in 38 cities within the U.S and 54 hotels abroad. 2. A single feat of daring can alter the whole conception of what is possible. 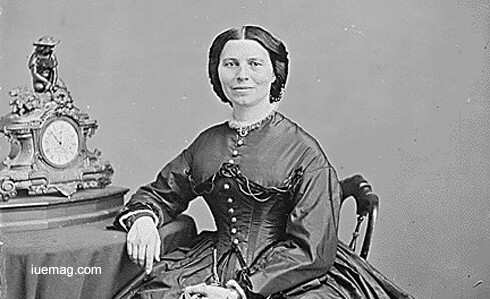 Affectionately referred to as the ‘Angel of the Battlefield,’ Clara Barton is one of the most respected women in American history who offered tireless and dedicated services to wounded soldiers at the war front. This legendary war-nurse resigned from her government job during the American Civil war and set out to the dangerous front line of the war. She first found her calling as a nurse at the age of eleven, when she took care of her sick brother David, who miraculously recovered under her care even after doctors had given up. She took up the job of a clerk in the US Patent Office. Here, her salary was equal to that of a man, which was uncommon in those days. After a brief period, the issue of appointment of a woman in government office faced strong opposition and hence her position was reduced to that of a copyist and she was later fired in 1856. She obtained permission to work at the front lines of the battle field during the American Civil war. 3. Take pride in how far you have come, and believe in how far you can go. Never stop learning! The moment you hear, “the falling of an apple from a tree,” you know about the leader we are talking about. Yes! Sir Isaac Newton it is. 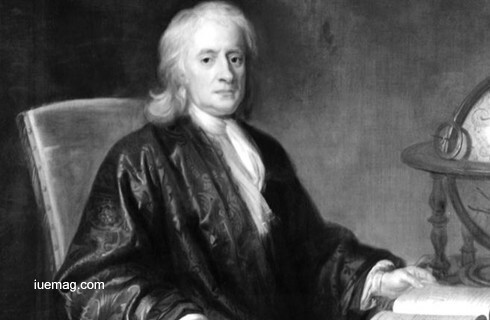 An extraordinary genius and proficient physicist, mathematician, astronomer and alchemist, Sir Isaac Newton is considered to be the greatest and the most influential scientist who ever lived and was a key figure in the scientific revolution. His book “Mathematical Principles of Natural Philosophy”, first published in 1687, laid the foundations for classical mechanics. Newton made seminal contributions to optics. One of the paramount contributors of the 17th century Scientific Revolution, he developed the principles of modern physics. Popularly known as Principia, his book highlighted the concepts of universal gravitation and laws of motions which remained at the forefront of science for centuries after. Furthermore, he worked on and developed the theory of colour. He was the first to lay out the fact that colour is an intrinsic property of light and that when reflected, scattered or transmitted, a white light decomposed into numerous colours that are visible in the spectrum or in the rainbow. He was responsible for building the first practical telescope. Newton also contributed to the study of power series, generalised the binomial theorem to non-integer exponents, and developed method for approximating the roots of a function. Apart from all the aforementioned, Newton made noteworthy and substantial contribution in the field of alchemy and theology as well. In his life, he held numerous significant positions including his service as the Lucasian Professor of mathematics, President of the Royal Society and Warden and Master of the Mint. It wouldn’t be wrong to say that Newton achieved milestones in physics that laid the groundwork for hundreds of thousands of further discoveries by scientists from around the world. 4. The beginning is always the hardest. Life rewards those who work hard at it. 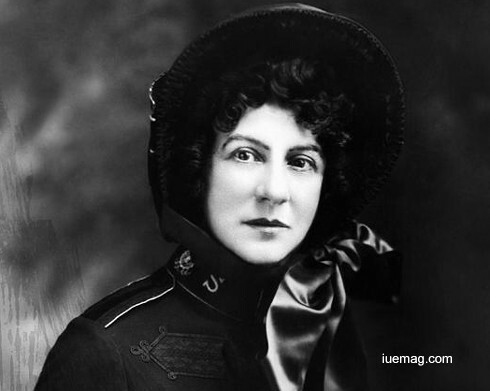 Driven by her faith, devoting her life to selfless service to help the poor and less fortunate, and successfully leading the American Salvation Army for 30 years, Evangeline Booth was the first woman General for the International Salvation Army. The journey of this woman to be able to lead thousands, in the then-male dominated society, was certainly not an easy one. Booth devoted her life to the work of the Army—to assist the poor and spread Christian values. She did not receive any formal education, but spent her adolescent years among the poor of London. Becoming a sergeant in the Army at the age of 15, she sold the organization's publication, War Cry, in the streets. In 1887, at 21 years of age, she became the officer of the corps in Marylebone, where there was very strong opposition to The Salvation Army. Her sister Emma, the commander of the U.S Salvation Army, who had created a solid foundation for the army, with assets worth 1.5 million dollars and almost 700 stations, died in New York City in 1903. Evangeline was selected to serve as the new U.S. commander, but she was intimidated at the prospect of trying to live up to her sister's greatness. Still, she was destined to a career of great accomplishment, to an extent that, wherever trouble threatened, the General’s solution was invariably the same, 'Send Eva!’. From the time of her induction as American commander in 1904, until her retirement from the post in 1934, the organization more than doubled the number of stations, its property holdings grew to a value of 48 million dollars, and its bank accounts increased to 35 million dollars. For her selfless services, she was praised by her people and was recognized with a Distinguished Service Medal in October of 1919. Although all the Booth children went on to hold high posts in the Army, it was Evangeline Booth who would serve for the longest period of time and bring the army to a new level of influence and popularity. 5. Big or small, but continuous action and progress, is the only route to success. Every inch of your movement will take you closer to your goals, than a mile of intention. 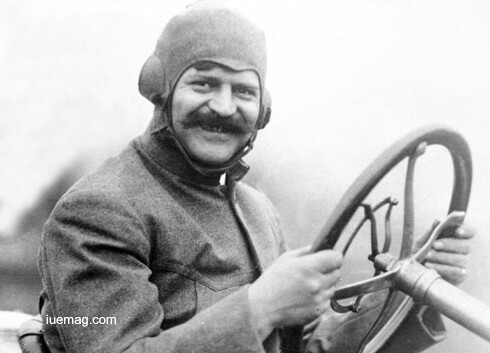 The next time you see or get to travel in a ‘Chevrolet’ car, you are sure to enjoy the view or the drive better after you know about the man behind the design of the first chevrolet, Louis Chevrolet, the co-founder of Chevrolet Motor Car Company and the founder of the Frontenac Motor Corporation (which made racing parts for Ford's Model T), who was also a motor racing legend whose accomplishments left a huge impression on the automotive industry. His father taught him basic mechanical skills and stressed the importance of precision in the manufacture of machine parts, which later contributed to his skill as an engine designer. To help with the family finances, Chevrolet got a job as a guide in a local wine cellar. Bicycle racing was a great weekend sport in Beaune and this is where Chevrolet developed his interest in speed. He experimented with gear ratios until he found the one best suited to his physical ability. While still in his teens, Chevrolet became an apprentice in a bicycle shop. He rose to fame as a daring automobile racer who displayed little concern for his own safety when the outcome of a race was in doubt. His driving skills attracted the attention of the auto executive, William Durant, and the two men combined their talents to form the Chevrolet Motor Company. He designed a stylish six-cylinder touring car, which proved that his design abilities matched his racing skills. The new car, which was priced at a high $2,150, sold 3,000 units and made a profit of $1.3 million in the next two years. After professional differences with his co-founder, he left the company and became a successful independent designer of race cars. A huge bronze likeness of Louis stands sentinel outside the Indianapolis Motor Speedway Hall of Fame and Museum, for the memory of the engineer's unrealized genius.